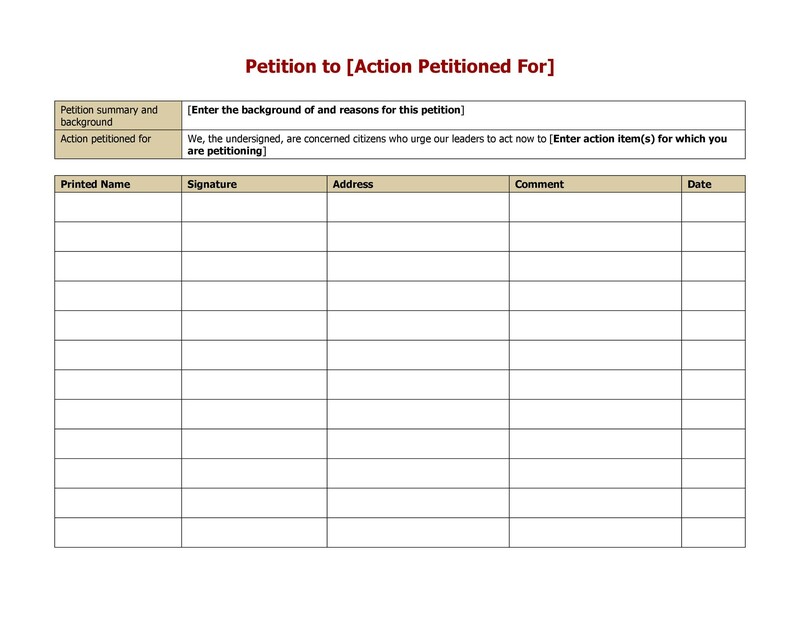 I know many must have experienced situations which require them to write a petition or do this for someone else. 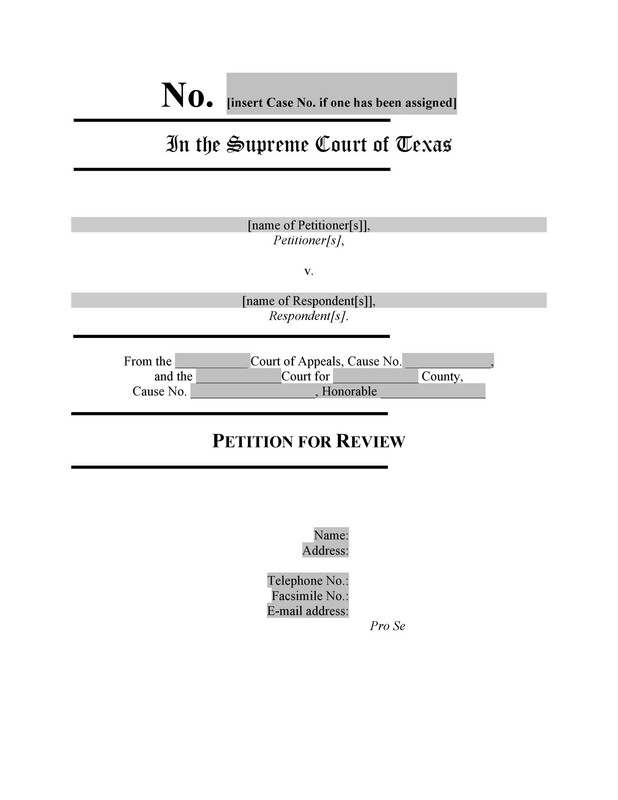 Others might be wondering what this is, well if you are wondering what a petition is, it refers to a formal request from a person or persons that is written to appeal to a governing body or a public official and it is meant to address a specific issue/s in order for one or a group of people to be granted favors, relief or certain privileges. It is typically signed by many people. 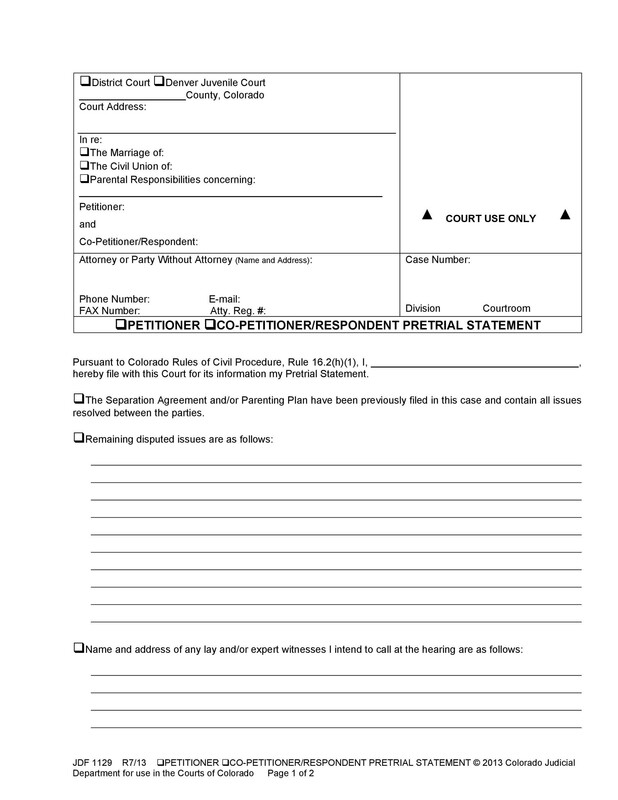 It can also be looked at as a formal application which is made to court in writing and it usually serves as a request for action to be taken with regards to a certain matter of concern. 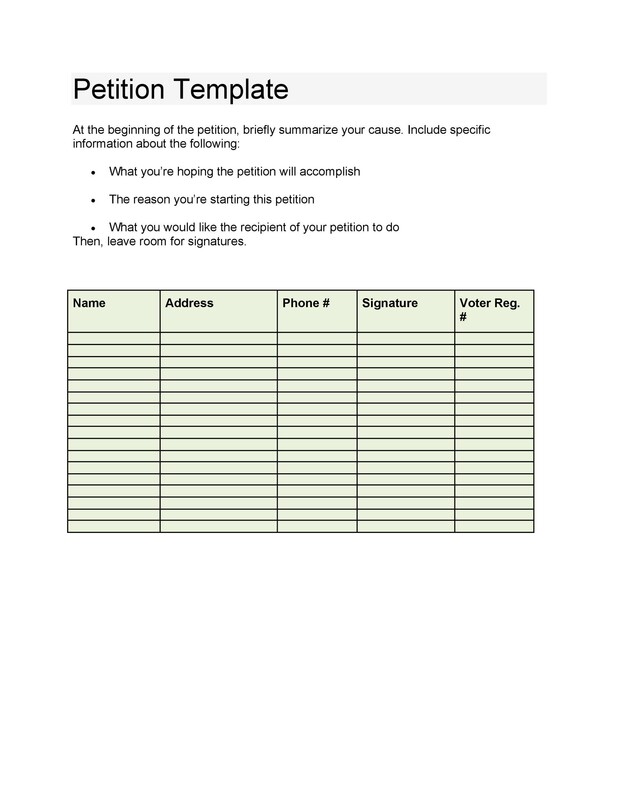 2.1 First you need to research your cause for writing the petition. 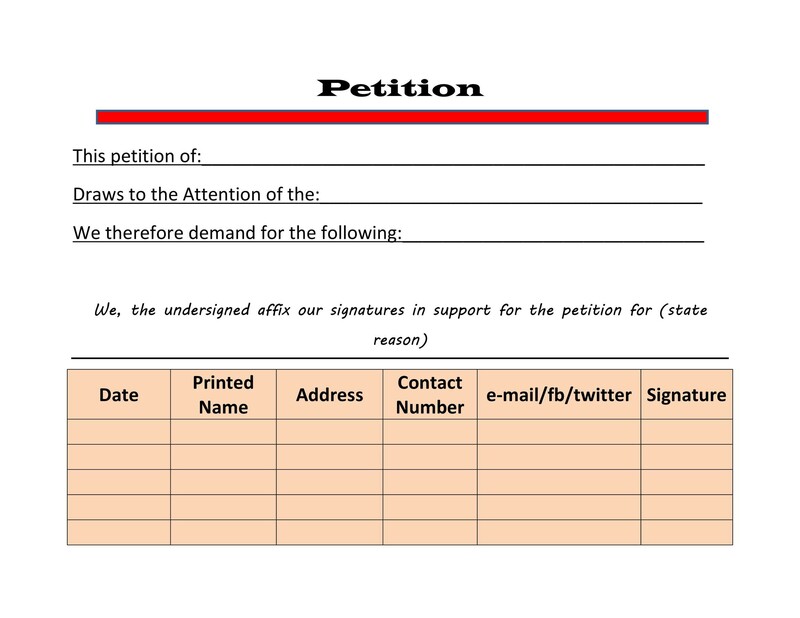 2.2 The second step is the process of writing the petition. 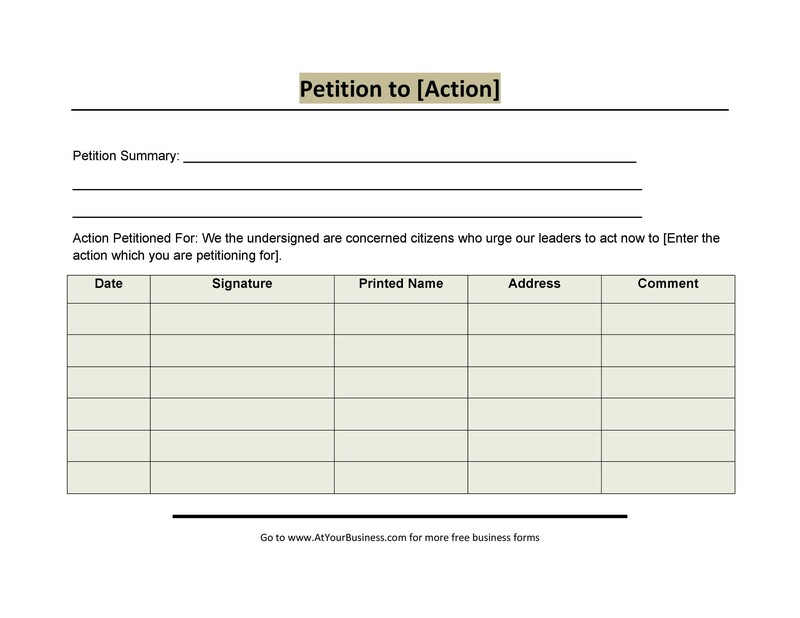 Coming up with a petition is not an uphill task but many people dread or shy away from doing this. 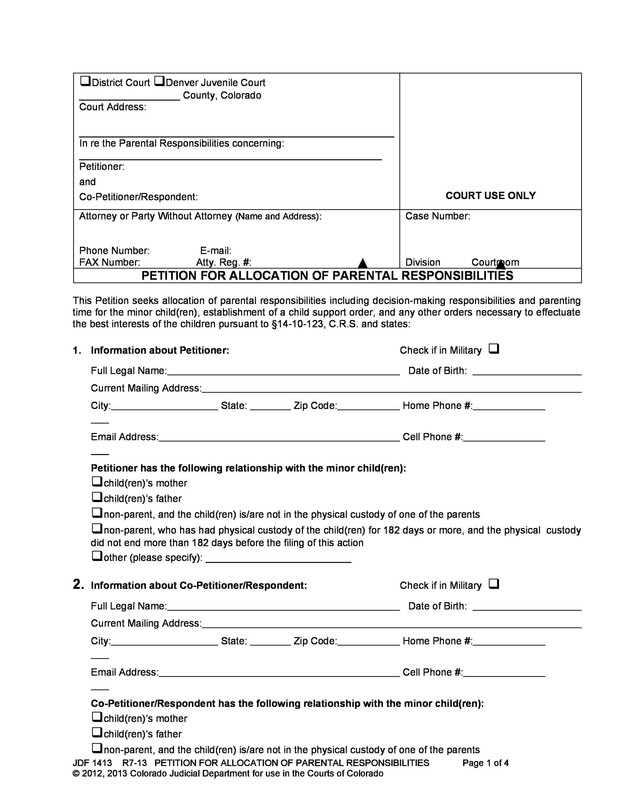 With the help of the guidance and the freely available petition examples and petition templates you are good to go. 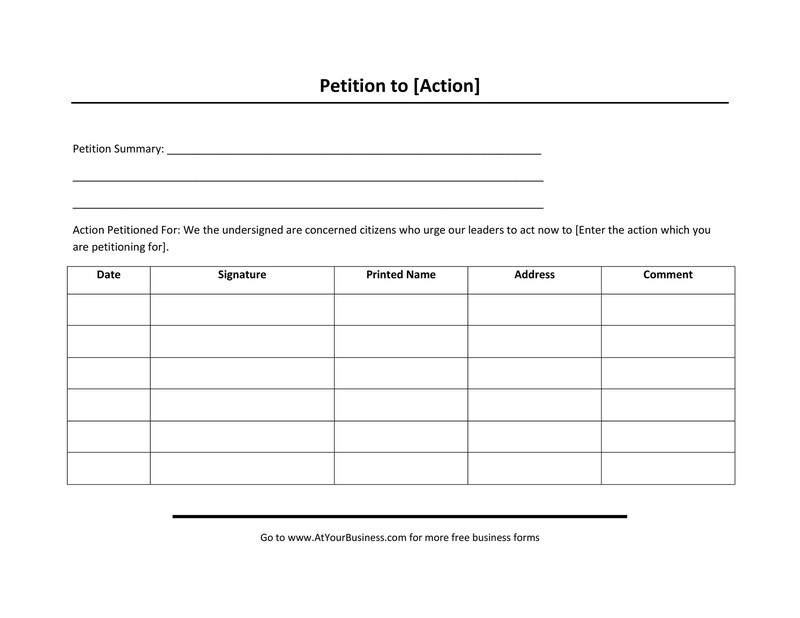 This site offers the easiest and most convenient way of coming up with a petition that will enable you to achieve what you will be asking for. First you need to research your cause for writing the petition. There are couple of things that need to put into consideration. You need to make sure that your course of action falls within the authority that you are addressing for instance your local government jurisdiction. You can confirm this by contacting the administrative office of the authority that you are addressing or you could simply check out their website. 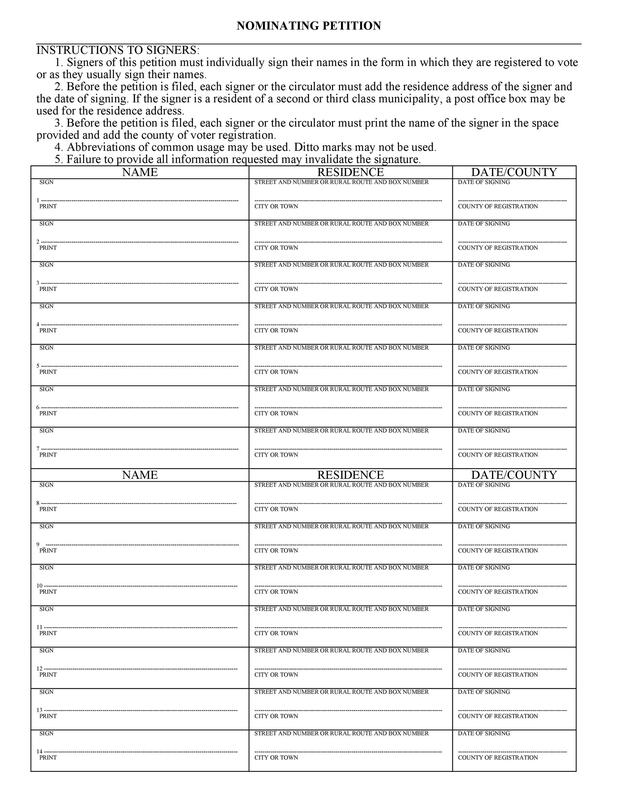 At times you might find out that you need to petition both at the county or state level. During the processing of contacting the relevant authority you can ask the office that you have approached to direct you to the appropriate department that will best address your petition. After addressing the above issue you can then ask for the petition guidelines that you need to abide by. 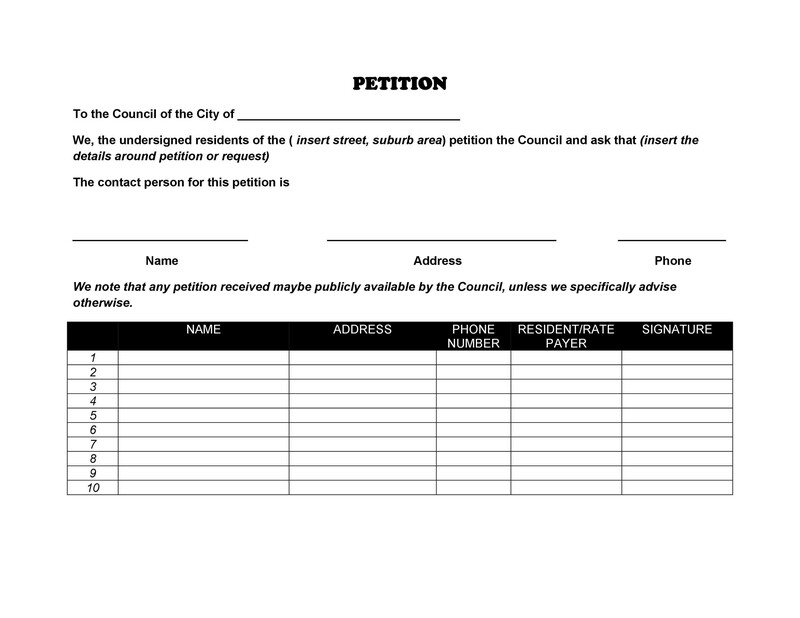 You will also be required to know how many signatures will be required in order to effect a given petition. This will enable you to set your target signatures within range that will enable you achieve it without the risk of having too many or too few signatures. 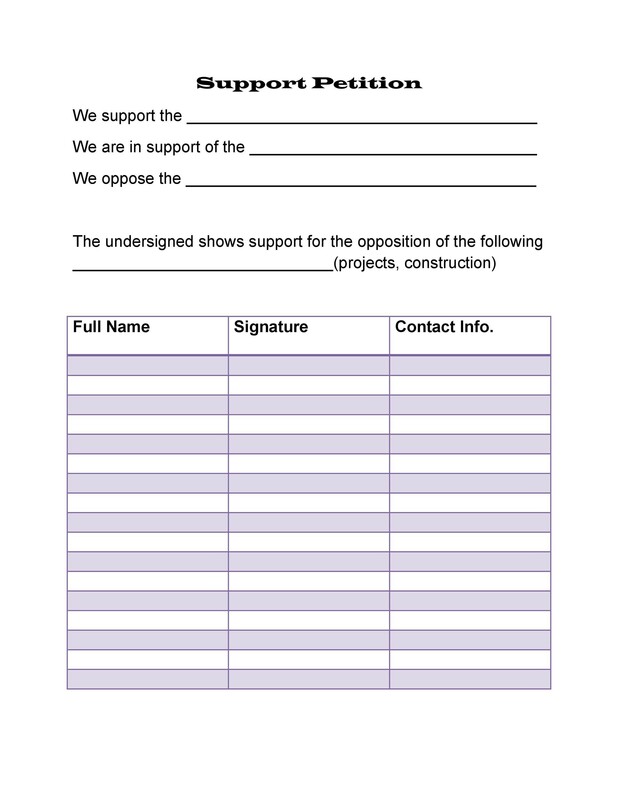 It is also good to confirm whether your petition will require approval or not before circulation . One also needs to learn how people should sign the petition for it to be deemed as valid. In certain scenarios such as getting a candidate’s name added to the ballot, the law usually requires you to show the address for each name and you will thus remember to ask the signers to provide this information as well. 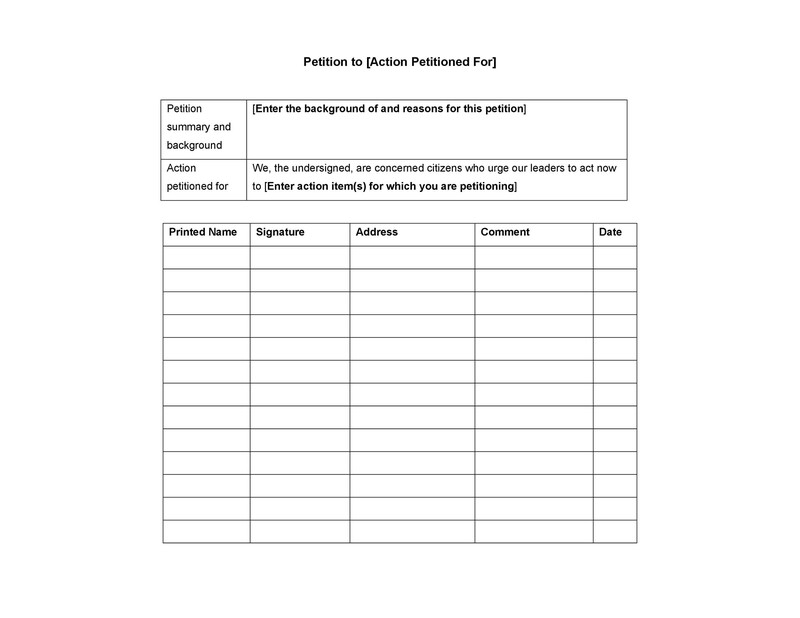 You need to do a thorough research on the topic of your petition to make sure that you know all the positions that you have. 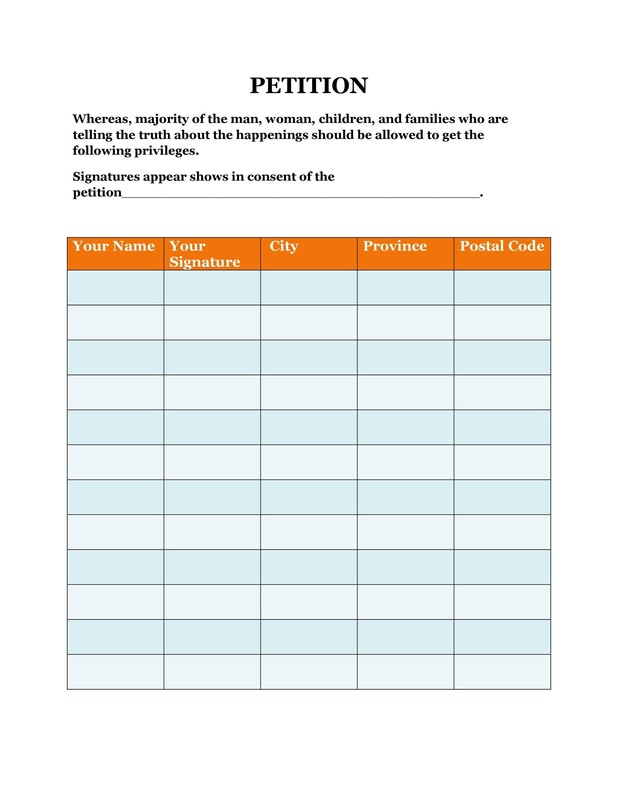 By doing this you might accidentally discover that a similar petition was tabled in the recent past and this might help in eliminating repetition of issues. 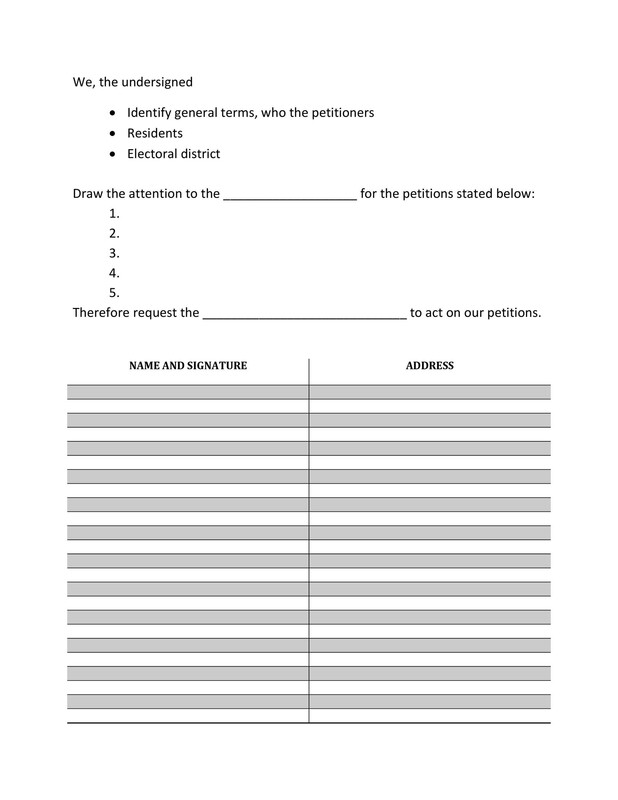 You need to weigh the various media or platforms that are available for circulating your petition. No matter what your preferred media is, you still need to make sure that you have written the petition in the right manner. 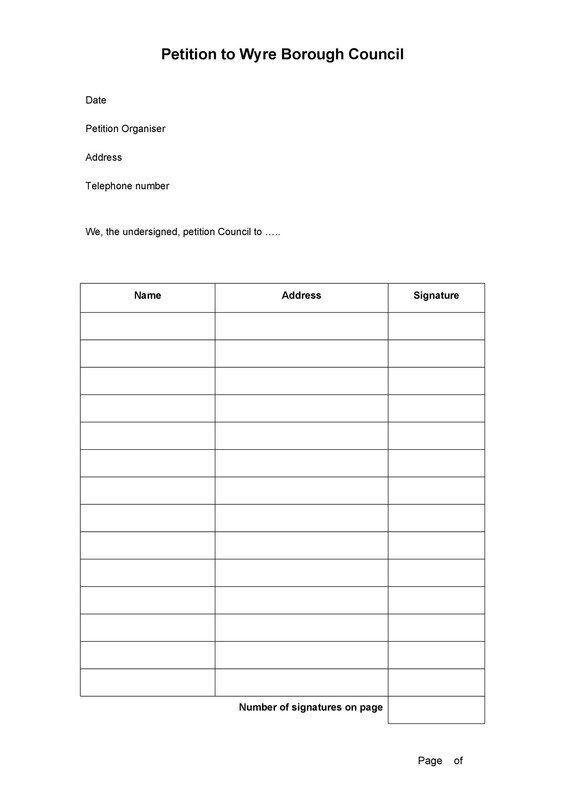 For local petitions you can consider using paper petitions as this will adequately reach your target group. If you want to reach broader networks you will need to use online petitions, this will enable you to reach a large target in an easier and faster way. 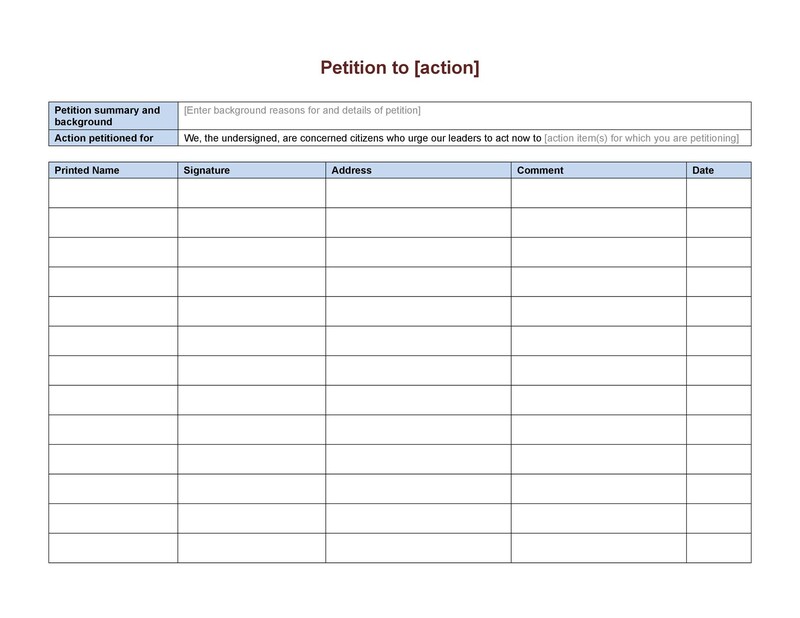 There are sites that can help you get to a large number of people if you choose to use online petitions and you can check these out and single out the one that best suits your needs. 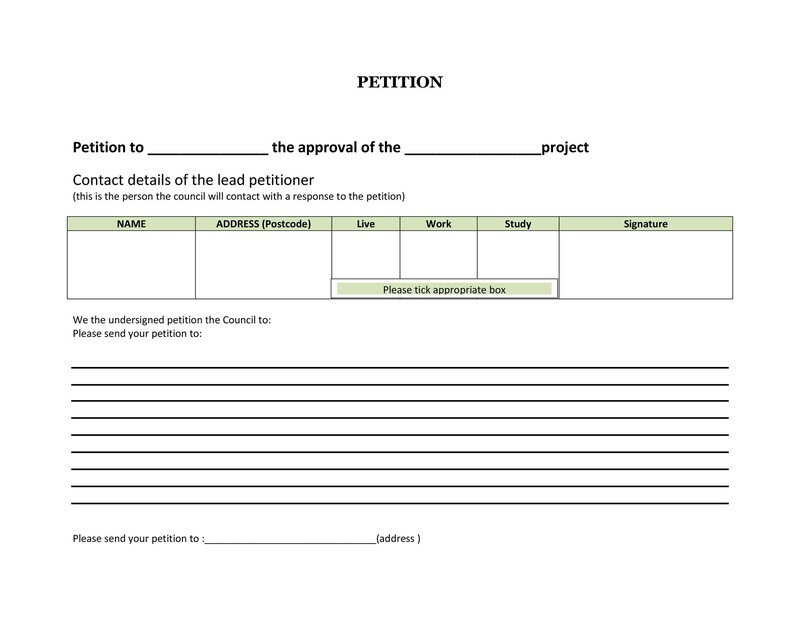 It is also good to put into consideration the aim of coming up with a certain petition, if you desire that people should take action, you can opt for a more suitable option such as a campaign rather than addressing the authority using a written petition. The second step is the process of writing the petition. You need to develop a specific statement that will help to identify what it is you need the people to support. The statement should be precise, concise as well as informative. 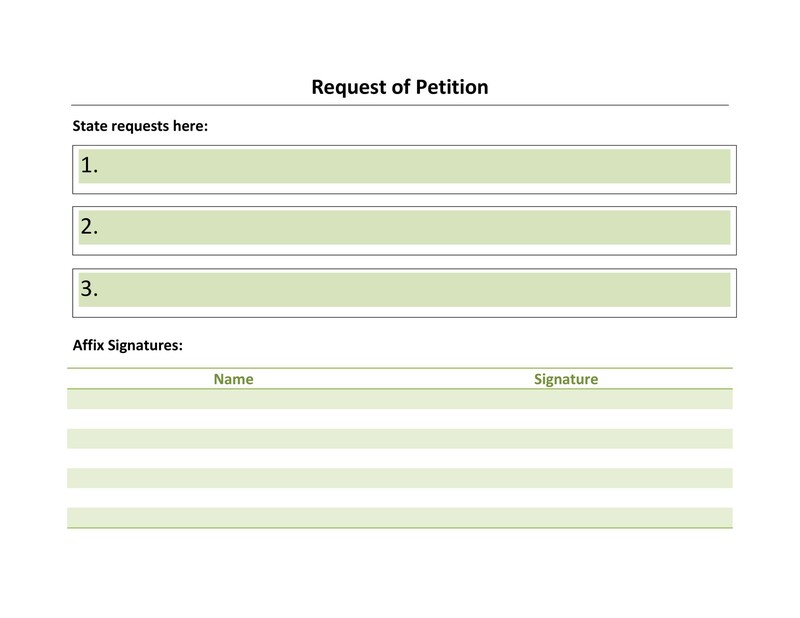 One has to make sure that the petition is as brief as possible. The reason for this is that people are likely to support a course that they have read and understood properly. By making the petition to be as short as possible you will make more people to be able to easily and quickly go through your petition. This is opposed to the lengthy petition which many will shy away from going through due to the unbearable length. 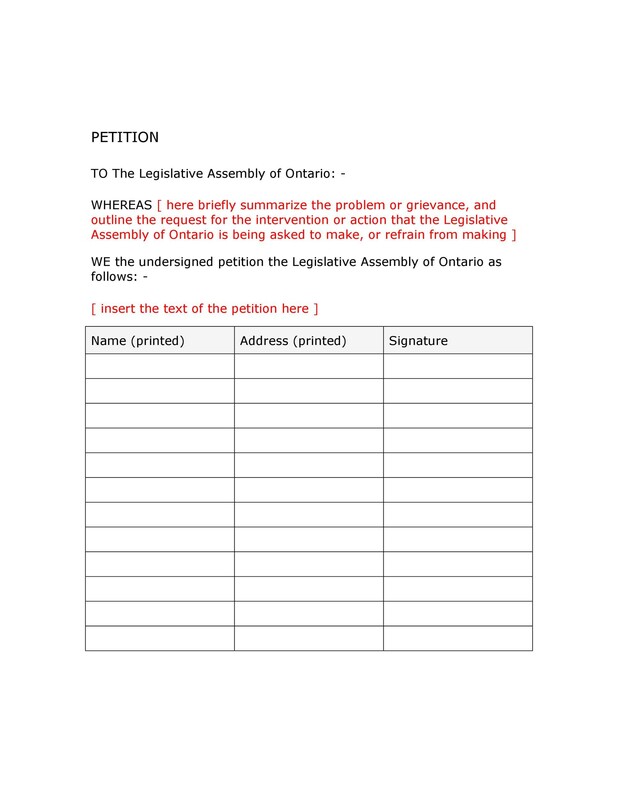 Regardless of the length of your petition you need to make sure that your specific goal has been highlighted and has come out clearly in the first paragraph. This should then be followed with your solid reasons for writing the petition. This happens to be the paragraph that most people are mostly interested in a given petition. You can then proceed to add body paragraphs to support the first paragraph. The first paragraph normally acts as the declarative paragraph and the preceding paragraphs should contain more information and the appropriate examples that help to explain what you are fighting for. You have a choice of writing as many additional paragraphs but you should put into consideration the fact that people on the streets won’t be that much interested in these additional paragraphs. You need to come up with a summary and this summary should be read through carefully. You should see to it that your summary describes the situation, suggest what is needed and it should also explain why it is needed. Make sure that it is crystal clear in the sense that one who never knew about what is in your petition can actually understand and appreciate what you are doing. 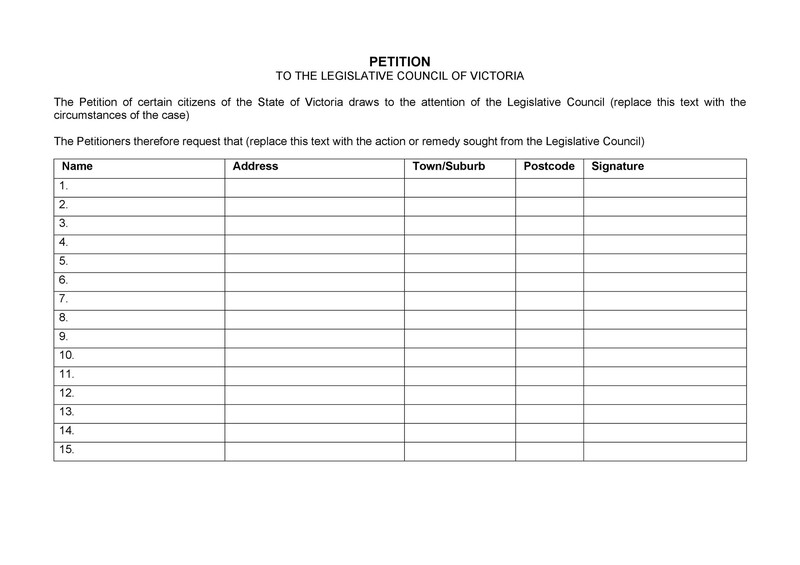 Make sure that you edit your petition to omit any spelling and grammatical errors. By letting your petition to be dotted with grammatical and spelling errors you may end up losing since most people won’t take you seriously. You need to make sure that all errors are corrected to attract some respect and seriousness when one is going through your petition. You can undertake a spell check and you ought to proofread your written or typed petition to capture any obvious mistakes. One can also choose to read out loud the written or typed petition to ascertain whether there is a logical flow of the contents in it. 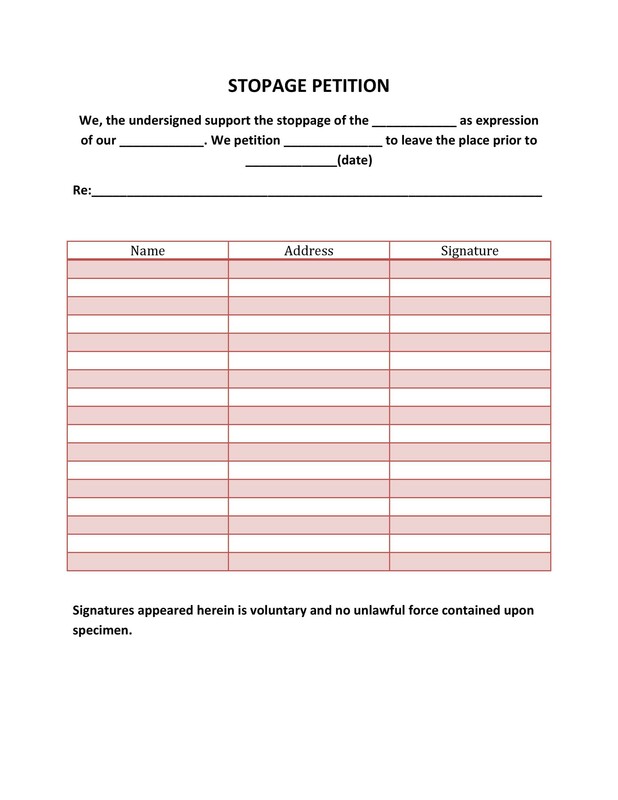 Just to make sure that you have dealt with all the errors you can choose a friend or a relative, most preferably one who is not informed of the petition. After they have gone through the petition you could ask them a few basic questions to determine whether the people will respond positively to your petition. Make sure that you have ascertained that they comprehend your goals, if they can tell why you are petitioning as well as the demands and the reasons why you are asking for this. 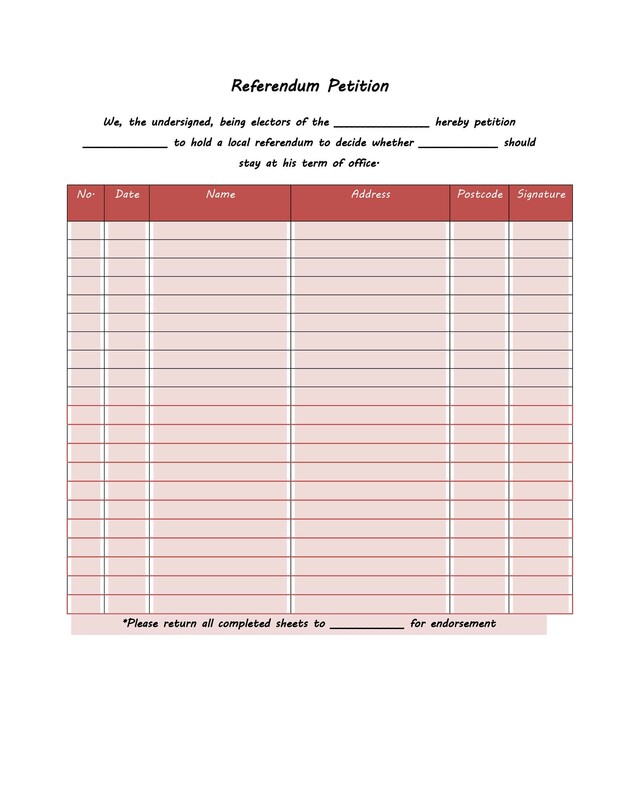 You need to create a signer’s form on a different and separate sheet of paper. On this you need to put the petition title at the top. See to it that your petition title is precise and descriptive as well. 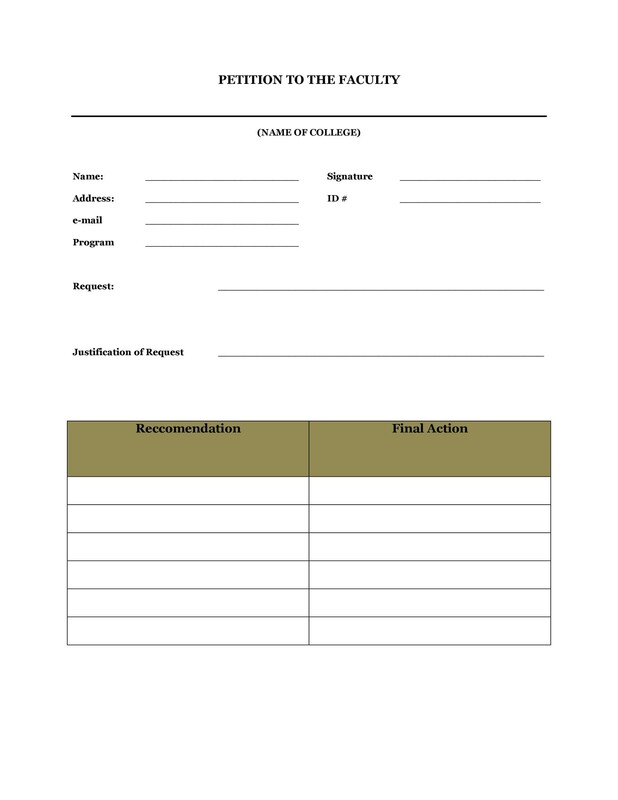 You can prepare the form by use a spreadsheet program. 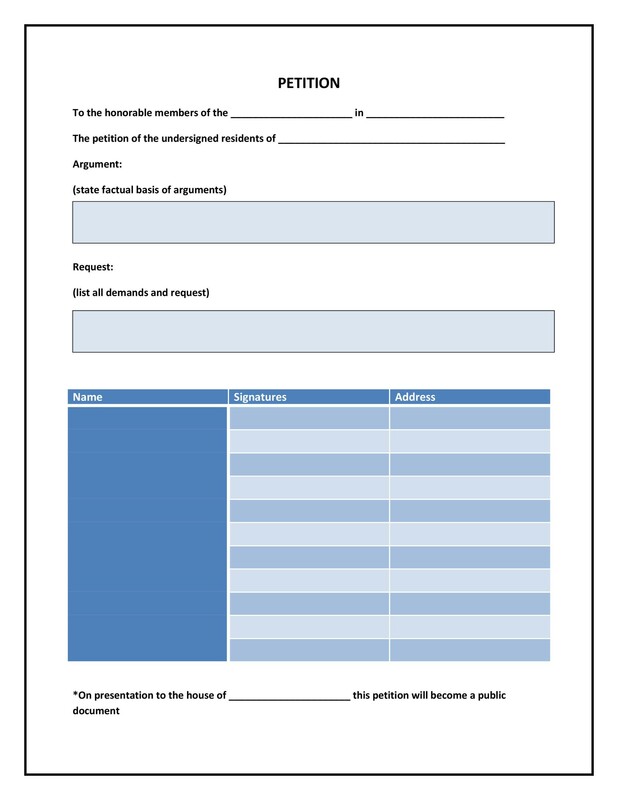 This will add a professional touch to your petition and this has the additional advantage of enabling you to change it when need arises. 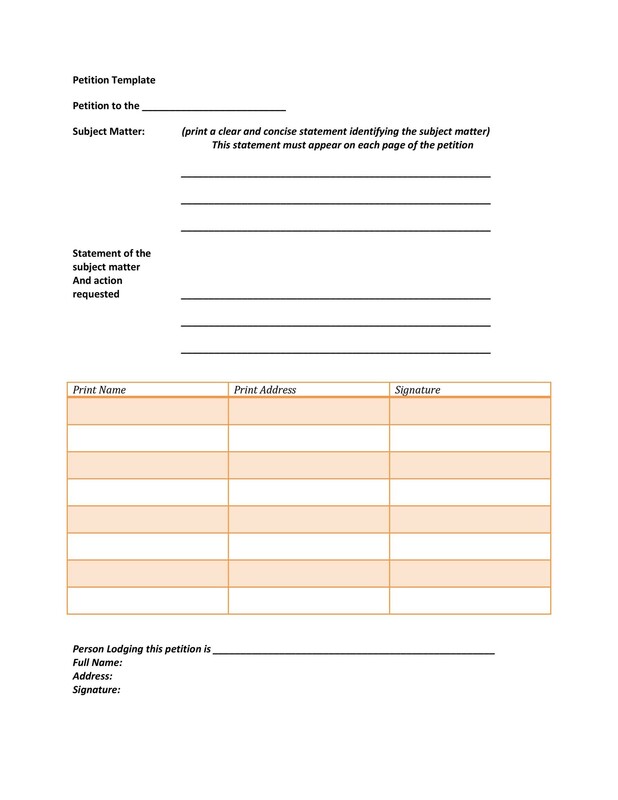 You need to divide the page into five columns to give space for the name, address, e-mail address, phone number as well as the signature. In other scenarios you might decide to include an additional sixth column for the voter registration number. You need to make sure that you have plenty of space for the address column. In case you don’t have a personal computer you can opt to use the library computers which have the appropriate spreadsheet program. If this is not possible you can also use a plain paper and then manually divide the page into the respective columns. This would do. One needs to proceed on and make photocopies or print versions of the original document. 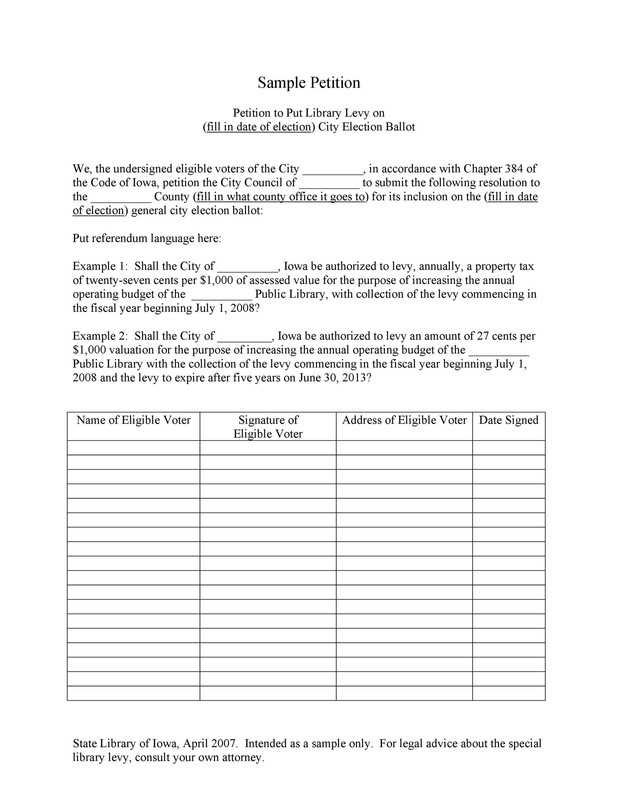 The number of copies that you need will be determined by the number of signatures that you want to attain. In order to keep track of the copies that you have generated it will be prudent to number them before printing them out or you could do this manually. 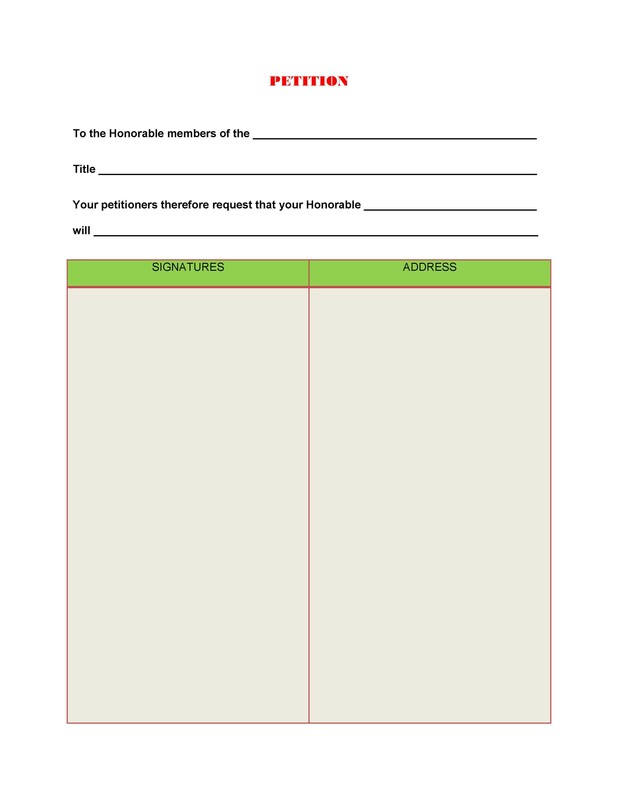 In case you are using signature gathers you may opt to tell them to initiate the pages with their names so that you can make inquiries about certain copies of the signature forms. By initialing the pages you may also attract or showcase some level of general accountability. You can choose to speak to people in person. 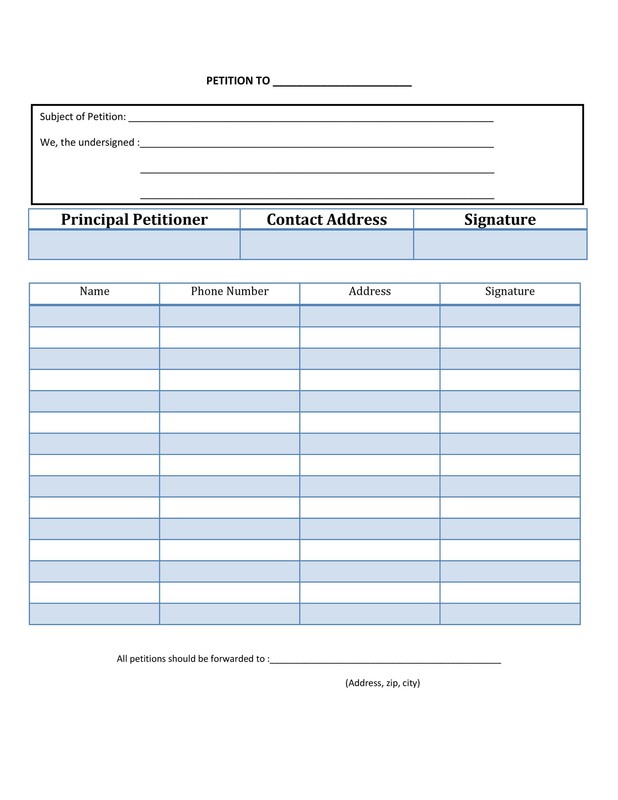 If you choose to use this means you need to address a large group of people who are affected by what is to be addressed by your petition. It will be prudent to write a speech if you are going to address the general public this being done after seeking the appropriate permission. You can go to a specific target location that has people who are affected by your concerns in your petitions. You can also use posters posted on community bulletin boards to address the community. 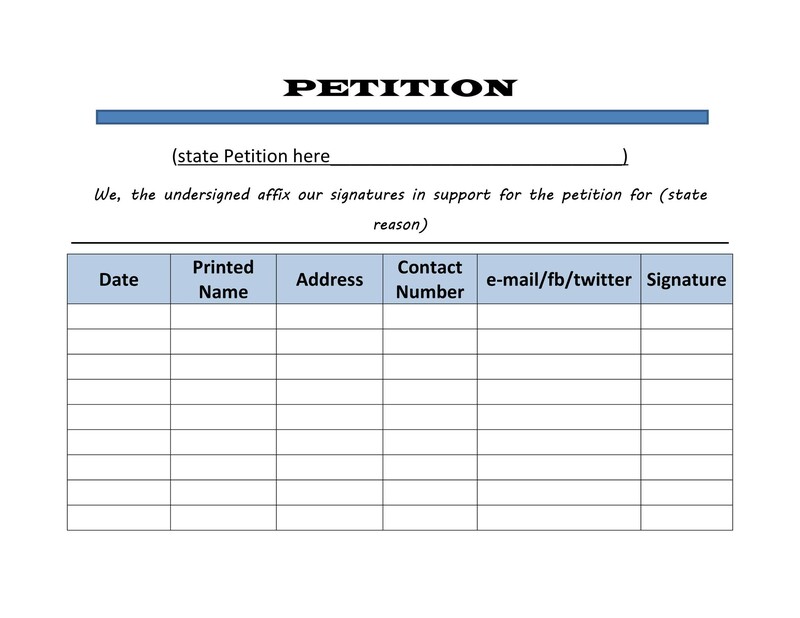 E-mails can also be very helpful in promoting a petition. You can send e-mails to the appropriate people and this should be followed by reminders but watch out that you are not over-flooding people with e-mails. One can also use the internet to get to many people. This can be achieved through the use of blogs or the social media platforms. By use of good websites your work can be simplified too. You can get media coverage of your petition. This can be achieved by making use of the local media houses or a local radio station as well as the newspaper if the petition is meant for a small group of people confined in one area. Remember to be polite and not mess around with people in the streets just because you want them to support your course. It is good to judge the response of people and act accordingly. By going through this and trying out the guidelines and recommendations you can be able to come up with an unbeatable petition. If you find it hard don’t hesitate to make use of our petition templates. Check out our petition examples to get a hold of what has been conveyed in this article.